Extinct animals are often fascinating already, but the idea that some may actually still exist is especially fascinating and mysterious. There has never been a proven case of an animal coming back from extinction but these 10 animals may still be out there. 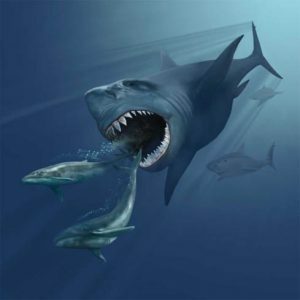 Megalodon is a giant shark that can grow up to seventy feet long, longer than any shark known to exist today. Megalodon means “Big, mighty” in ancient Greek. It’s one of the biggest extinct animals that may still be alive today. It’s believed to have been killed by off by global warming like many other extinct animals. However sharks longer than any known species today have been spotted all over the world by fisherman and sailors. 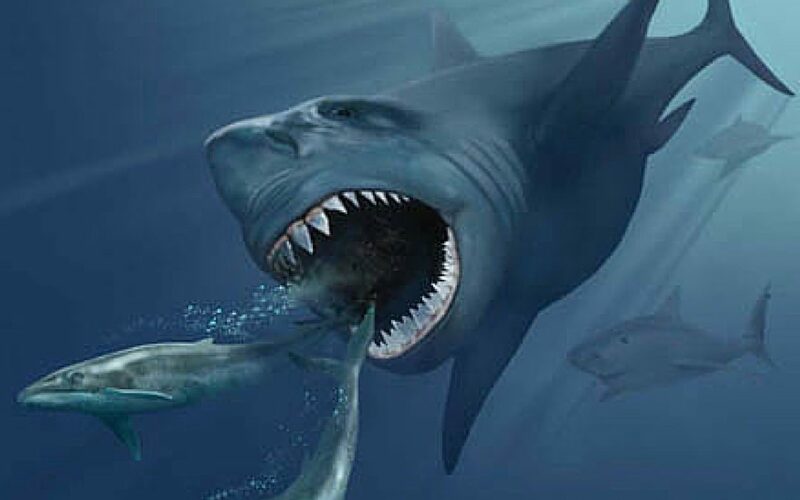 There has also been a fossil of a Megalodon tooth found deep in the ocean, which means there could possibly be many Megalodon living deep in the ocean, and occasionally coming towards the surface. Also known as the Thycaline, the creature was hunted to extinction because it was a threat to livestock. 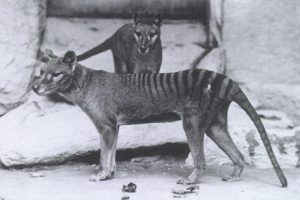 It was the last known member of the Thylacinidae family to exist, and now the entire family is wiped out. The animal was believed to be a timid, and nocturnal creature, with the appearance of a dog. Since it went extinct in the 20th century it has been sighted many times, in Tasmania and Australia. It has been spotted so many times many people fully believe that it exists. There is footage of what is believed to the animal on You-tube, and many of the people who reported it have been confirmed as being sober to add credibility to the sighting. 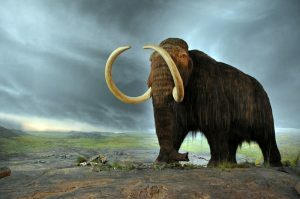 Woolly mammoths have been spotted multiple times living in Siberia. The sighting is from the 1920’s when a French traveller claims to have seen one. “It was a huge elephant with big white tusks that were very curved. Its hair was a dark chestnut colour as far as I could see. It had fairly long hair on the hindquarters, but it seemed shorter in the front. I must say, I had no idea there were such big elephants! A second beast was around . . . it seemed to be at least as big as the first.” There lots of videos online claiming to be footage of a woolly mammoth. Woolly mammoth sightings are almost always in Siberia. 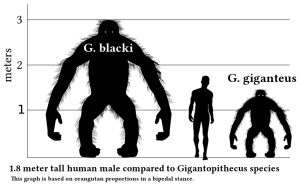 The Gigantopithecus was a giant species of ape that went extinct millions of years ago. It lived in China, India, and Vietnam. It was the largest known ape to ever live, and could grow all the way up to 9.8 ft, and weigh up to 540kg. There are few fossils left of the gigantopithecus, this is because they were often ground into powder to be used in traditional chinese medicine. It’s unkown how the extinct animals walked but they could have walked either on all fours like a gorrilla, or on two legs like a human. Some have theorised that the Gigantopithecus actually survived and evolved into what we know as big foot. The two creatures look very similar, although there’s no evidence to say they are the same creature, gigantopithecus is probably the most similar looking animal to bigfoot. The mastodon are a species that has the appearance of a mix between a woolly mammoth, and modern day elephant. Although it went extinct thousands of years ago it was actually spotted 500 years ago by a man named David Ingram. Ingram described creatures twice the size of a horse, hairy, and in the shape of an elephant. He accurately described a mastodon. This is while he was travelling and made his way into the Unites States. He noted encountering Indians, and the mastodons. There are even sightings of the mastodon today, although there is little evidence to say it exists. 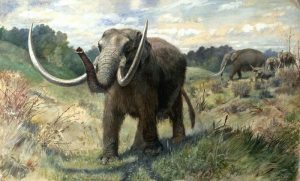 Mastodons were lived in herds in the forest. The beasts are believed to have been wiped out by hunters, and global warming. 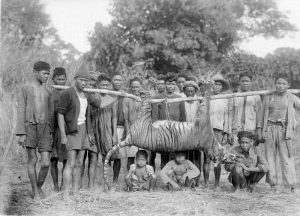 Javen Tigers used to populate Java Island, until the mud seventies when they went extinct. The human inhabitance gradually began to expand their territory, creeping into the tiger’s home until it eventually disappeared from the island. The last sighting was in 1976, but since then they were spotted multiple times since then until 2010 and beyond. Multiple island villagers claim to have seen them, and there has even been evidence of their existence in the form of discovered fur, and droppings. Javan tigers are much smaller compared to other species of the asian mainland, but larger than Bali tiger. They also have many long, and thin stripes. This North American Cougar was declared extinct in 2011 by the U.S. Fish and Wild life Service. Although it’s counted among other extinct big cats, it doesn’t actually seem to be extinct at all. There is a mountain of evidence pointing towards it being very much alive and well. 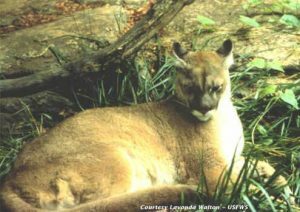 People in states all over America have claimed to have seen the cougar and some have even taken pictures. There is also DNA evidence including fur, droppings, and footprints. It seems likely the organisation made a mistake, and claimed it was extinct when it most probably isn’t. The Mokele-Mbembe is a giant long necked reptile, reportedly found in the in the Congo river basin of Central Africa. It’s name means “One who stops the flow of rivers”. Sightings of the creature have been reported for over 200 years, and yet nobody has ever found any proof. Cryptologists claim it’s probably a sauropod, a species of extinct animals from 150 million years ago in the late Triassic period. Sauropods are known to have long necks, small heads, and four giant legs like pillars. 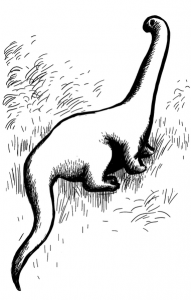 The group include some of the largest animals ever to walk on land, and the Mokele-Mbembe may be one of those creatures. Creatures matching the description of Plesiosaurs have been seen all over the world, in lakes and oceans, and some people think it might explain sightings of the Loch Ness monsters. Plesiosaurs are marine reptiles from the Triassic period, which was 205 million years ago. Although they most likely died out, it’s possible that they have survived to this day deep in the ocean, where humans cannot reach. Extinct animals from the plesiosaur species could also explain sightings and myths of sea dragons from around the world, since they have such a similar appearance. 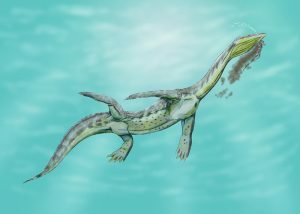 Plesiosaurs have a broad flat body and a short tail. Some Plesiosaurs have also displayed long necks, and short heads. The Baiji were a species of dolphin that could only be found in the famous Yangzte River, at red cliff. The species was numerous and in no danger of extinction until the construction of three dams forced them into extinction in 2006. Although they were thought to be extinct, it was only a year later that another Baiji was spotted by a team of scholars. The team was a credible source but more Baiji’s have proved impossible to find. The Baiji are the first dolphins to be forced to become extinct animals at the hands of humans. Baiji were known as the Goddess of the Yangzte, and said to protect fisherman.